Nebraska Children and Families Foundation in partnership with community collaboratives and state and national partners are proud to announce Bring Up Nebraska, a statewide prevention initiative designed to give LOCAL community partnerships the ability to develop LONG-TERM plans using the LATEST strategies and data to prevent life’s challenges from becoming a crisis for many Nebraska families and children. Often though, when we’re talking about community well-being, we’re referring to the communities that have committed to becoming environments where well-being characteristics can thrive among its population. The Bring Up Nebraska initiative supports these communities with the financial and knowledge resources needed to cultivate the good life for all of Nebraska’s children. Click here to read the Promoting Safe and Stable Families 2016-2017 evaluation report. Click here to read the Community Well-Being: Community Response 2017-2018 progress report. Bring Up Nebraska communities include a community-owned collaboration that seeks to optimize the prevention of Adverse Childhood Experiences by actively promoting Protective Factors within the community context, and through parent-child interactions. The end goal is to move the needle on the 8 Community Well-Being Indicators. Commitment by government institutions, nonprofit service providers, health care professionals, faith-based organizations, educators and – most importantly – the population being served to work together to improve the community well-being within their community. At Nebraska Children, we build community-owned collaboration using the Collective Impact process. Common ACEs include: substance abuse in household, parental separation/divorce, mental illness in household, battered mother, criminal behavior in household, psychological, physical or sexual abuse, and emotional or physical neglect. The chart to the left shows the 4 most common ACEs in Nebraska according to the latest PRAMS data. 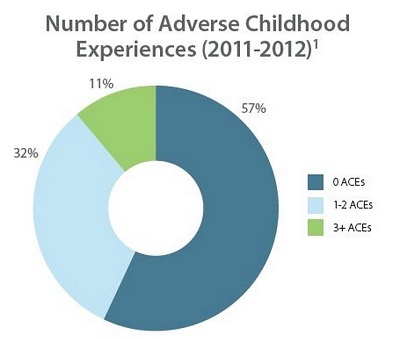 ACEs are encounters that create a high risk to a child’s physical, mental, emotional and relational health in the short term and into adulthood. 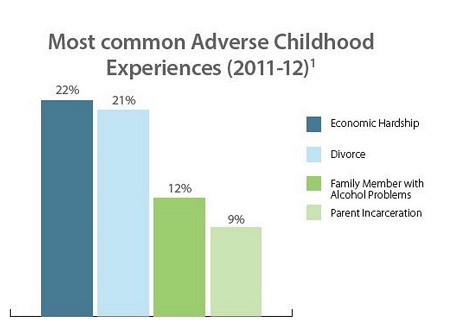 Preventing ACEs for children at the highest risk can help avoid these dangerous and costly outcomes. Accoring to the Nebraska Pregnancy Risk Assessment Monitoring System (PRAMS) data for 2011, 44% of Nebraska children experience at least one ACE. Exposure to multiple ACEs has been proven to increase rates of early alcohol, tobacco and drug use, addiction, depression, attempted suicide, adolescent pregnancy, financial instability, unemployment, lung cancer and coronary heart disease. The chart to the left shows Nebraska's most recent PRAMS data on exposure to multiple ACEs. The community context is the setting in which all community well-being efforts will occur. It refers to the community norms that influence parenting, the openness of parents to seek out help, and the social acceptability of offering parenting help. In a CWB Community, optimizing this community context is a critical part of a successful strategy. 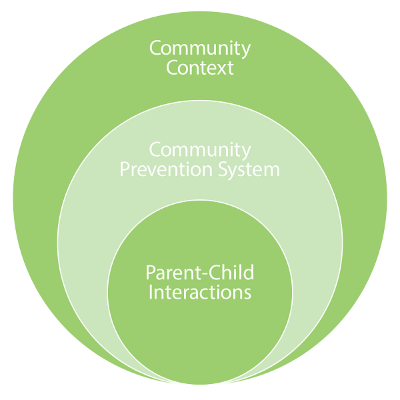 A Community Prevention System is the coordinated array of formal and informal services available within the community to address community well-being. These services may be provided through coalitions, agencies, organizations and volunteer groups. Community Well-Being communities work with Nebraska Children to develop strategies to align the work of the community collaborative with the community’s unique challenges, focusing on the well-being indicators that need to improve. This term refer to family-level dynamics. CWB communities focus efforts on programming that teaches parents how to interact positively with their children, and that enhance the social-emotional competence of children. The most pertinent measurement of the quality of parent-child interactions is Community Well-Being indicators. Read more about strategies to improve Parent Engagement.